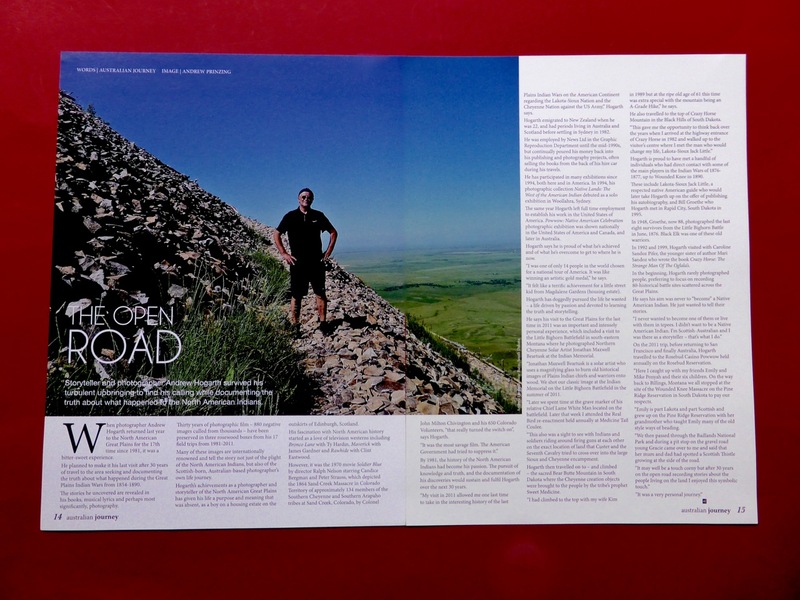 Andrew Hogarth – Australian Journey Highlights the Open Road. Australian Journey Highlights the Open Road. Really proud at the tender age of sixty-two that I have once again worked with Matt Ody at Blackhawk Publishing in Tasmania to highlight my Great Plains Road Trip in the summer season of 2011. Thirty years on the open road of the Great Plains driving 187,000 miles is a really cool badge of honour to wear now that I have retired. I enjoyed every minute! This entry was posted onThursday, January 10th, 2013 at 11:17 pm and is filed under Photography, Storytelling. You can follow any responses to this entry through the RSS 2.0 feed. You can leave a response, or trackback from your own site.